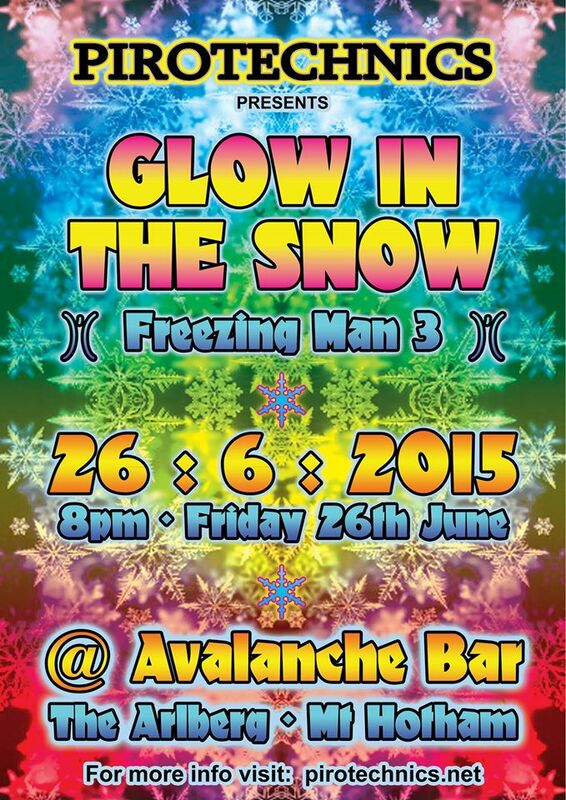 Blacklights, Lazers, DJ’s, An epic party and SNOW! Glow in the Snow brings you all the awesome quality of a Pirotechnics crew club event and combines it with the beautiful location that is Mt Hotham. Accommodation Bookings essential – Limited rooms available!